Beautiful condo in an excellent location! Walkable to grocery store, restaurants, gyms, recreational activities, schools, library & more. Featuring 2 bedrooms and 2 bathrooms, in-unit laundry, covered patio, a fireplace and covered parking! Fresh paint and new carpet makes this home feel like new. The open layout is spacious and functional. Beautifully maintained complex with pools, fountains and lush landscaping. Get ready to fall in love with this condo! SchoolsClick map icons below to view information for schools near 9439 Fairgrove Ln. San Diego, CA 92129. Home for sale at 9439 Fairgrove Ln. San Diego, CA 92129. Description: The property at 9439 Fairgrove Ln. San Diego, CA 92129 in the Casablanca subdivision with the MLS# 190005192 is currently listed for $389,000 and has been on the market for 88 days. You are viewing the Sandicor listing details of the home for sale at 9439 Fairgrove Ln. 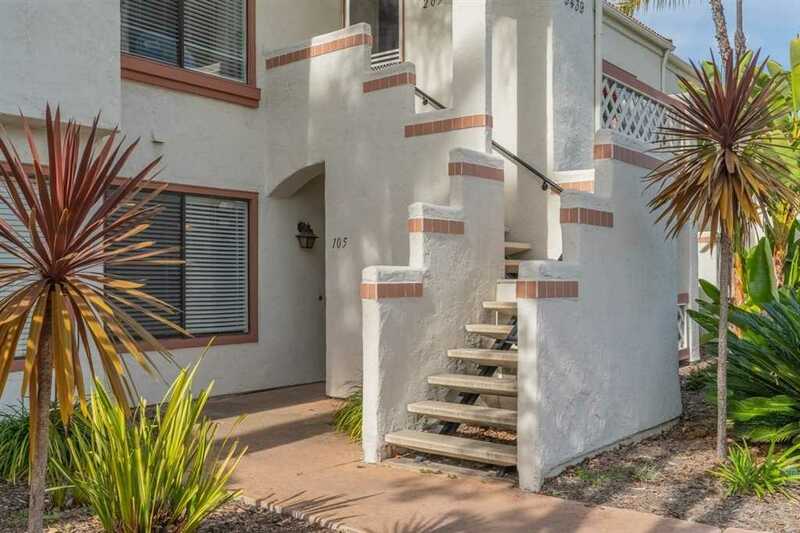 San Diego, CA 92129, which features 2 bedrooms and 2 bathrooms, and 927 sq.ft. of living area.